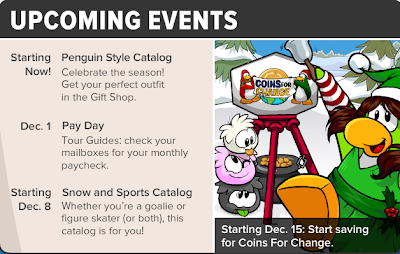 Club Penguin Cheats by Mimo777 Club Penguin Cheats by Mimo777: Club Penguin Times Issue 319! 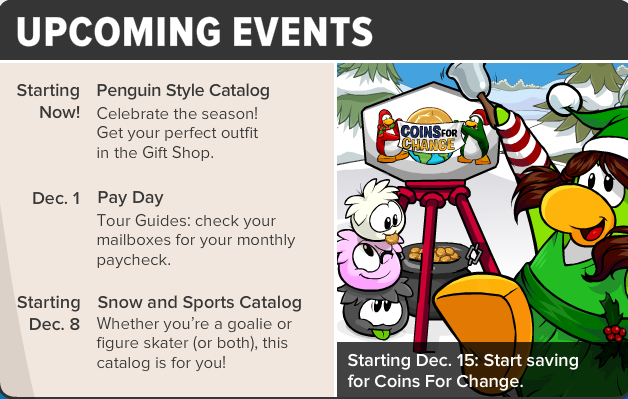 Club Penguin Time Issue #319 is here! Wow! Ninja Hideout will now be open to all penguins! Of course, the Fire Dojo and Water Dojo will return next week as Member only rooms, but everyone will be allowed in the Ninja Hideout. 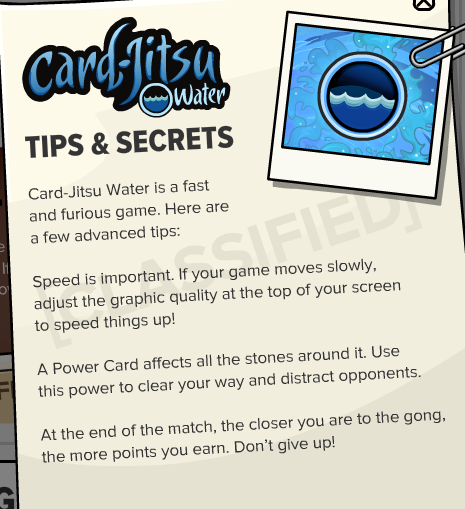 I guess that's a big deal, but isn't everyone already a ninja by now? 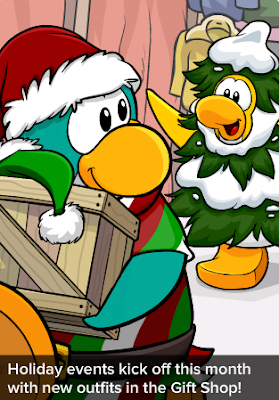 Don't forget to head to the Gift Shop to check out all the cool new festive Christmas wear! Aunt Arctic has been trying to earn her black belt! How phunnie is that? Ha! Looks like it is going to be a phun month, don't ya think? 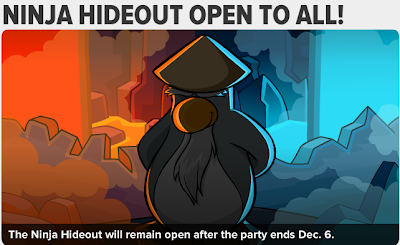 Wait, if the ninja hideout is available to everyone, then it's no longer a 'ninja hideout'. 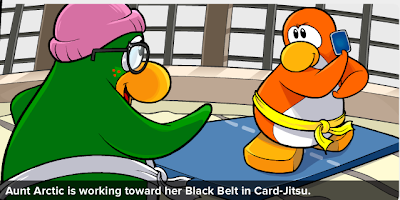 mimo i think the reason they are making it open to all penguins is so that the penguins who are members but dont have black belts can get in and play card jitsu fire and water.